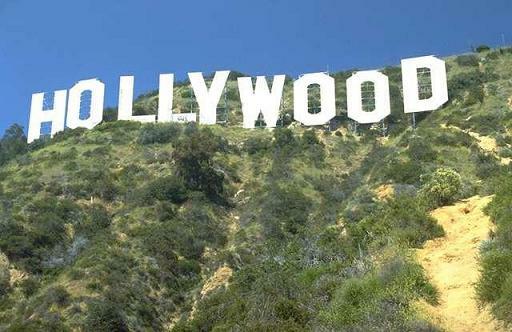 California is a state on the West (Pacific) coast of the contiguous United States. It is the 3rd largest state in area, and the largest in population. With a population of over 33 million, California contains many towns and cities. The best known of these are Los Angeles (which has the largest populaton of any city in the state, and 2nd largest in the United States), San Francisco and San Diego. Other well-known cities include Sacramento (the state capital), Alameda, Anaheim, Bakersfield, Berkeley, Beverly Hills, Carlsbad, Claremont, Compton, Cupertino, Fresno, Hollywood, Irvine, Long Beach, Malibu, Monterey, Newport Beach, Oakland, Palm Desert, Palm Springs, Pasadena, San Jose, Santa Cruz, Sunnyvale and Vallejo. Alcatraz in San Francisco Bay: Alcatraz Island in San Francisco Bay was once a maximum security prison that held notorious criminals such Al Capone. Today, it's a historic site managed by the National Park Service. To visit, head over to Fisherman's Wharf from where you can catch a ferry to the island. Cable Car System in San Francisco: The San Francisco Cable Car System is the last manually operated cable car system anywhere in the world, and rightly has become world famous. Visitors can ride the cable cars which are still in regular use, and here's also a museum which houses historic cable cars. Disneyland Resort in Anaheim: The Disneyland Resort incorporates a variety of attractions including the Disneyland Park (the "Magic Kingdom"), Disney's California Adventure which is a theme park based on the history of California, and several hotels, as well as "Downtown Disney" for shopping. Fisherman's Wharf in San Francisco: Fisherman's Wharf is the most popular neighborhood in the city for tourists. The area contains many attractions, as well as some excellent seafood restaurants. 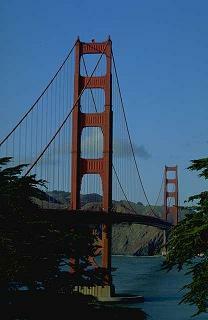 Golden Gate Bridge in San Francisco: This spectacular bridge joins San Francisco to Marin County. When it was completed in 1937, the Bridge was the largest suspension bridge anywhere in the world. Today it no longer holds that title, but nevertheles is still a potent and internationally-recognized symbol of the city. La Brea Tar Pits in Los Angeles: At this famous location, hot asphalt seeps to the surface. In prehistoric times, many animals such as mammoths, ground sloths and saber-toothed cats got stuck in the tar and became fossilized, and hence the La Brea Tar Pits are now an important palaentological site. Los Angeles County Museum of Art in Los Angeles This museum is the largest art museum in the western United States. It houses a collection of over 100,000 works. Napa Valley: The Napa Valley is one of the most important grape-growing regions in the world. The second most popular tourist attraction in the state (after Disneyland), the Valley is by around five million tourists every year. Universal Studios Hollywood in Los Angeles: Universal Studios is a theme-park inspired by the movies. The original idea was to offer tours of soundstages and sets, but today there are rides and other attractions. USS Midway in San Diego: The USS Midway is an aircraft carrier which served with distinction with the US Navy from just after World War Two until 1992. Today the ship is permanently moored in in San Diego, and is a museum-ship open to the public. Some of the leading educational institutions in California include California Institute of Technology (in Pasadena), San José State University ("SJSU") (in San Jose), Stanford University (in Stanford), the University of California, Berkeley ("UC Berkeley") (in Berkeley), the University of California, Davis ("UC Davis") (in Davis), the University of California, Irvine ("UC Irvine") (in Irvine), the University of California, Los Angeles ("UCLA") (in Los Angeles), the University of California, Merced ("UC Merced") (in Merced), the University of California, Riverside ("UCR" or "UC Riverside") (in Riverside), the University of California, San Diego ("UCSD") (in San Diego), the University of California, San Francisco ("UCSF") (in San Francisco), the University of California, Santa ("UCSC") (in Santa Cruz), the University of California, Santa Barbara ("UCSB") (in Santa Barbara), the University of San Francisco (in San Francisco) and the University of Southern California (in Los Angeles). Professional sports teams in California include the Anaheim Ducks (ice hockey in the NHL) in Anaheim, Bakersfield Blae (California League baseball) in Bakersfield, California Victory (USL-1 soccer) in San Francisco, Chivas USA (Major League Soccer) in Carson, the Fresno Grilies (Pacific Coast League baseball) in Fresno, the Golden State Warriors (National Basketball Association) in Oakland, the High Desert Mavericks (California League baseball) in Adelanto, the Inland Empire 66ers of San Bernardino (California League baseball) in San Bernardino, Lake Elsinore Storm (California League baseball) in Lake Elsinore, the Lancaster JetHawks (California League baseball) in Lancaster, the Los Angeles Angels of Anaheim (Major League Baseball) in Anaheim, the Los Angeles Clippers (National Basketball Association) in Los Angeles, the Los Angeles Dodgers (Major League Baseball) in Los Angeles, Los Angeles Galaxy (Major League Soccer) in Carson, the Los Angeles Kings (ice hockey in the NHL) in Los Angeles, the Los Angeles Lakers (National Basketball Association) in Los Angeles, the Modesto Nuts (California League baseball) in Modesto, the Oakland Athletics (Major League Baseball) in Oakland, the Oakland Raiders (American football in the NFL) in Oakland, the Rancho Cucamonga Quakes (California League baseball) in Rancho Cucamonga, the Sacramento Kings (National Basketball Association) in Sacramento, the Sacramento River Cats (Pacific Coast League baseball) in West Sacramento, the San Diego Chargers (American football in the NFL) in San Diego, the San Diego Padres (Major League Baseball) in San Diego, the San Francisco 49ers (American football in the NFL) in San Francisco, the San Francisco Giants (Major League Baseball) in San Francisco, the San Jose Giants (California League baseball) in San Jose, the San Jose Sharks (ice hockey in the NHL) in San Jose, the Stockton Ports (California League baseball) in Stockton, and the Visalia Oaks (California League baseball) in Visalia. California has a strong economy that encompasses many diverse industries, but is particularly known for its leading computer, software and electronics industries. Some of the major companies that have based their headquarters in California are Adobe Systems (in San Jose), Apple (in Cupertino), Cisco Systems (in San Jose), Google (in Mountain View), Hewlett-Packard (in Palo Alto), Intel Corporation (in Santa Clara), Oracle Corporation (in Redwood City), Silicon Graphics (in Sunnyvale), Sun Microsystems (in Santa Clara), Advanced Micro Devices (in Sunnyvale), Agilent Technologies (in Santa Clara), Autodesk (in San Rafael), Chevron (in San Ramon), Compuer Sciences (in El Segundo), Countrywide Financial (in Calabasas), eBay (in San Jose), Electronic Arts (in Redwood City), Gap (in San Francisco), Gateway, Inc. (in Irvine), Ingram Micro (in Santa Ana), Intuit (in Mountain View), Mag Instrument, Inc. (in Ontario), McAfee (in Santa Clara), McKesson Corporation (in San Francisco), National Semiconductor (in Santa Clara), Network Appliance, Inc. (in Sunnyvale), Northrop Grumman (in Los Angeles), Occidental Petroleum (in Los Angeles), Palm (in Sunnyvale), Paramount Pictures (in Los Angeles), Qualcomm (in San Diego), Safeway (in Pleasanton), Seagate Technology (in Scotts Valley), Symantec (in Cupertino), Taco Bell (in Irvine), VeriSign (in Mountain View), Visa International (in San Francisco) and Yahoo! (in Sunnyvale). Airports in California include John Wayne Airport in Santa Ana, LA/Ontario International Airport in Ontario, Los Angeles International Airport in Los Angeles, Metropolitan Oakland International Airport in Oakland, San Diego International Airport in San Diego, and San Francisco International Airport in San Francisco. Places of interest in California. Books containing travel information for California. History information and books for California. Towns and cities in California.